To answer this question, RAISE'14 will be a crossover workshop where the state of the art in both fields is documented and extended. This workshop will explore not only the application of AI techniques to SE problems but also the application of SE techniques to AI problems. Prospective participants should submit either a state of the art position statement describing late-breaking research results or a research vision statement on one or more of the following perspectives. Improving SE through AI – including but not limited to knowledge acquisition, knowledge representation, reasoning, agents, machine learning, machine-human interaction, planning and search, natural language understanding, problem solving and decision-making, understanding and automation of human cognitive tasks, AI programming languages, reasoning about uncertainty, new logics, statistical reasoning, software analytics, etc. Deployed Applications of AI or SE – papers that describe a deployed SE application in AI domain or an AI application in SE domain including nut not limited to robotics software development and recommendation systems in SE, etc. We seek papers that are position statements that review current state of the art results as well as papers that will look over the horizon for discover future directions. Papers may either be regular research papers that will be published in the ICSE proceedings, or they may be “abstract only” and they would only be seen by workshop attendees, presented in brainstorming sessions and discussed in breakout groups. Submit papers, in PDF format, to Easychair. Submissions should be 5 to 7 pages long and can either be position statements that review state of the art results or a vision statement looking over the horizon. All papers are intended to be archival for publication in the ICSE Companion proceedings, however the authors may chose an abstract only publication of their work. If accepted, each paper will be presented in 15-20 minutes presentation sessions to stimulate discussion. Submissions must not be published or under review elsewhere, and conform to formatting using ACM Formatting Guidelines. Submission length should not exceed the above page limits and all submissions must be in English. 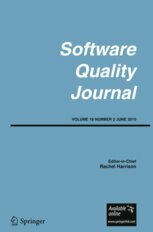 Following the workshop the authors will be invited to extend their papers into full journal papers (together with an open call), for a Special Issue of the Software Quality Journal, edited by Burak Turhan, Çetin Meriçli and Ayşe Başar Bener. It is a given that large-scale contractual systems engineering projects need to comply with a myriad of government regulations and standards as part of contractual fulfillment. Thus, a key activity in the requirements engineering (RE) process for such a project is to demonstrate that all relevant requirements have been elicited from the regulatory documents and have been traced to the contract as well as to the target system components. However, there are impediments to achieving this level of compliance due to such complexity factors as: voluminous contract, large number of regulatory documents, multiple domains of the system, and others. In this talk, I will describe hitherto uncovered impediments in qualitative and quantitative terms, identified from the study of a large systems engineering project. I shall portray these as challenges raised to SE/AI technological effort to automate compliance work in system development.